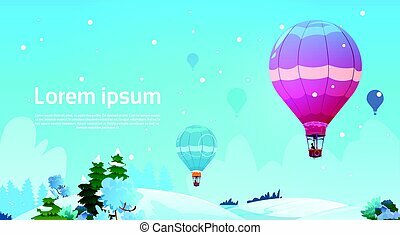 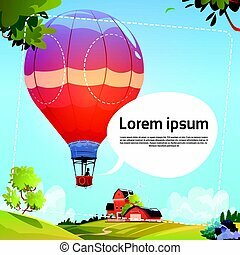 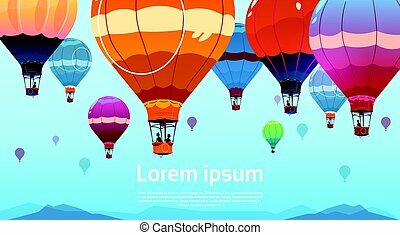 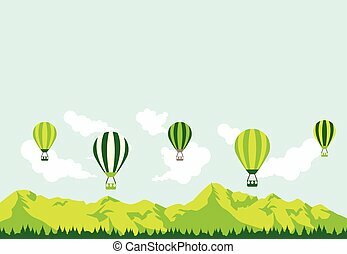 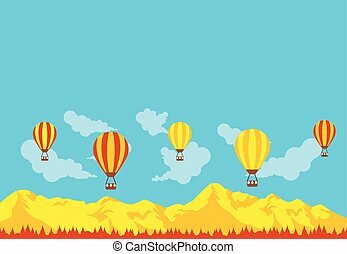 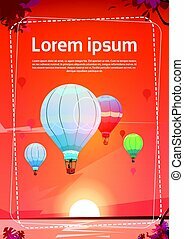 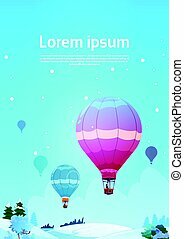 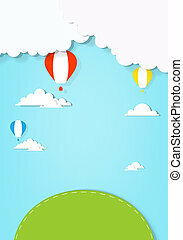 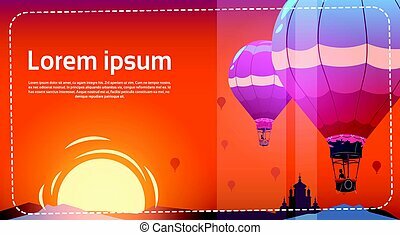 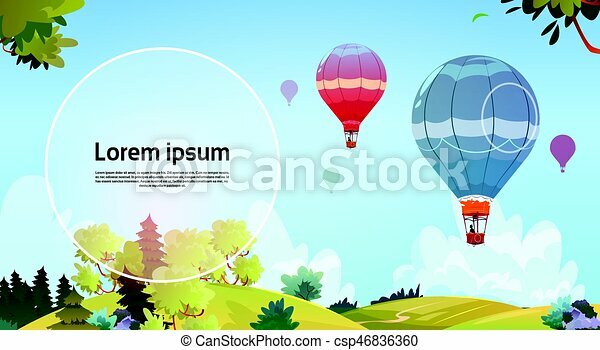 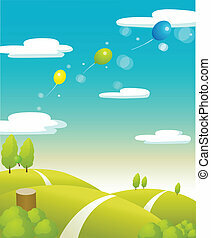 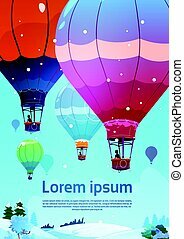 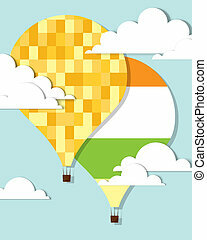 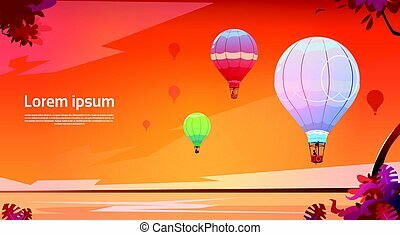 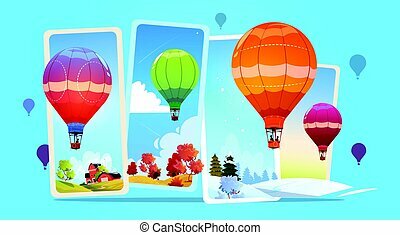 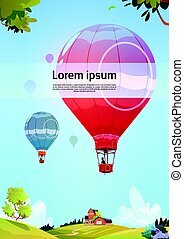 Colorful air balloons flying in sky over summer landscape flat vector illustration. 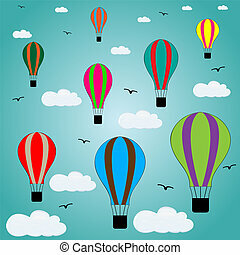 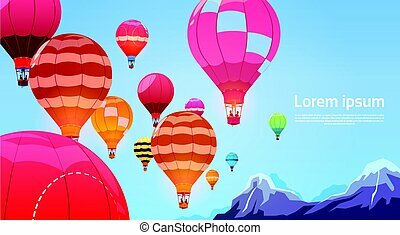 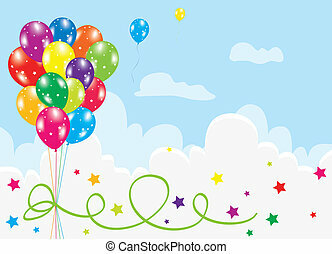 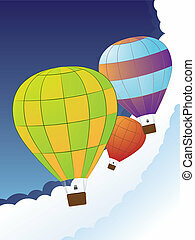 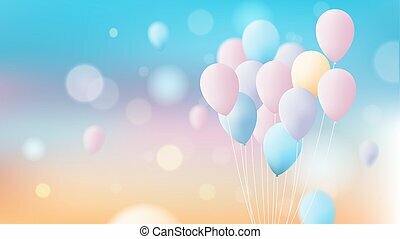 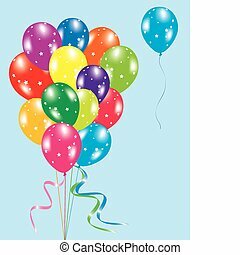 Colorful hot air balloons flies in the sky background. 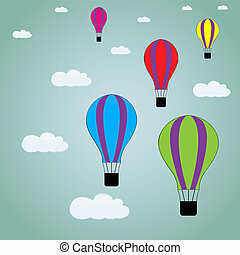 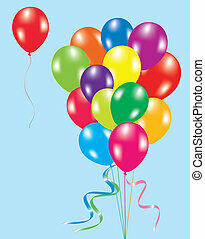 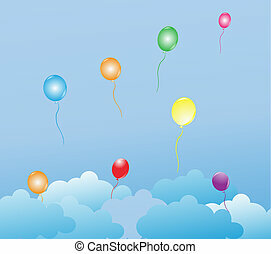 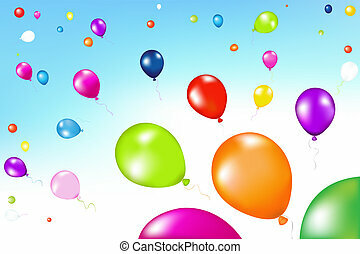 Multicolor balloons flying in the air.